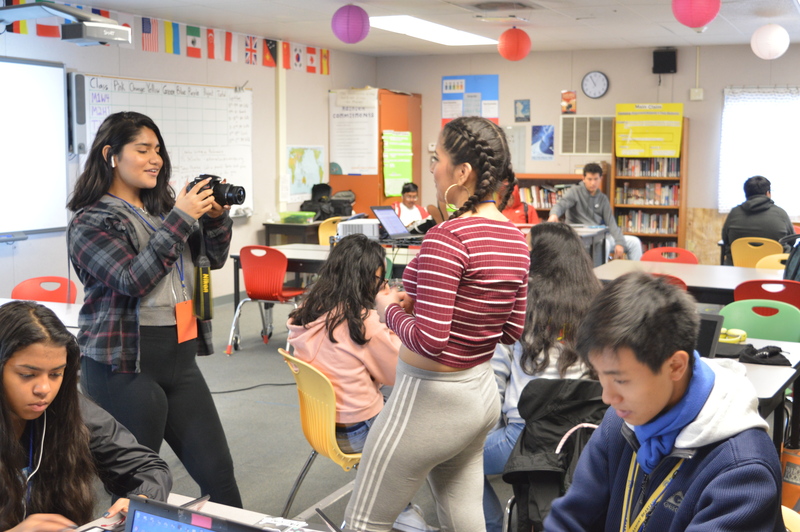 On Aug. 21, Summit Prep students took 20 minutes from their morning class to watch the first total solar eclipse in America that was seen coast to coast in the past 38 years. The solar eclipse occurred across the nation, reaching totality in 14 states, including Oregon. In Redwood City, California, the eclipse reached 75 percent totality. Some students made pinhole cameras using index cards to view the eclipse; others brought their own eclipse glasses from home. Since California was not in the path of totality, there was still an adequate amount of sunshine and many found the watching experience to be quite underwhelming. However, the effects of the eclipse were evident due to the day appearing to be darker than usual. 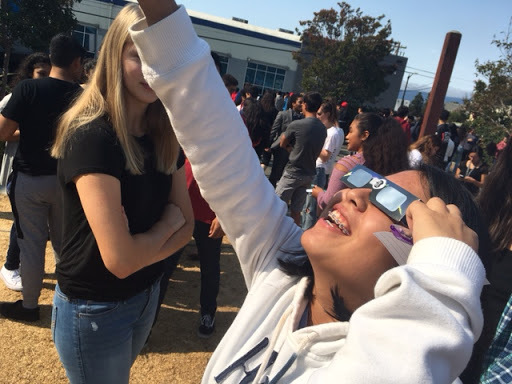 Top: Summit Prep freshman Alexis Pereznegron looks up at the solar eclipse. Bottom (left to right): Summit Prep sophomores Lauren Louie, Tara Dubridge and Daniel Garcia view the solar eclipse through glasses specifically made to safely view the eclipse. Great job, Eliza and Micah!